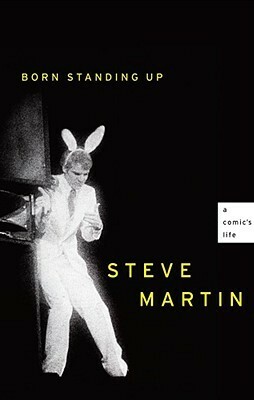 In the midseventies, Steve Martin exploded onto the comedy scene. By 1978 he was the biggest concert draw in the history of stand-up. In 1981 he quit forever. This book is, in his own words, the story of "why I did stand-up and why I walked away." I've seen a number of Steve Martin movies, so this appealed to me. Seeing as I have been on a memoir kick lately, I figured I should give into my own whims. I'm welcome. I already knew he was funny, but I was also glad to see this applied to his audiobook. I have noticed some comedians just don't do audio well. I was a bit weary because he's definitely the visual type. He got his start doing magician type things at Disney, his comedy routines also included props up the wazoo, and even his movies have a good deal of physical comedy. Good news though! I found myself laughing quite a number of times. But thats not all. Not only is he hilarious, but I also found this book to be motivational. Especially in regards to his work ethic. It's always impressive to hear about someone actually earning what they deserve. I also got a kick out only knowing more about him and really related pretty strongly to his issues with anxiety. I myself been having a bad time with that drama lately, so I feel those feels. Sometimes I just can't people as much as people would like me to. As someone who struggles with anxiety issues, it was nice to hear how he handles it. And how he validated it. May he never again achieve super stardom but always continue to be just enough of a celebrity so he doesn't get crazy stalked but he can continue to make enough money to live on. I FLove Steve Martin. I remember as a child when he was on The Muppet Show. And A Simple Twist of Fate was a fantastic movie. While I'm not a memoir kinda gal, I think I could listen to this audio.